Wedding Catering In Jacksonville: What Goes In Your Catering Contract? One area you have to be really diligent when planning a wedding is dealing with caterers. How your guests are catered to on your D-day plays a huge role in the success of your wedding. Therefore, be extra vigilant when hiring wedding catering in Jacksonville. The first rule of working with caterers is to establish the ground rules through a written contract. A contract binds the catering vendor and also provides legal ground for you to stage a complaint should everything or anything not go as planned. Always be weary of a caterer who avoids signing a contract as this is the first sign of trouble. With that said, what are the key things to put in your wedding catering contract? Write down the date, time, place, and the duration your wedding will be going for. Give exact physical details and address of the venue and the type of venue it is. It could be a large ballroom or divided into banquet rooms. Put down directions to the venue as well just to be safe. You have to be really specific about what kind of catering you want. Generalizing things gives the caterer the freedom to do what they want on your D-day and you do not want that. Let the contract list whether it will be a buffet or a sit-down gathering. Will you have a cocktail hour and do you want your guests to leave with a snack hamper at the end of the ceremony? Let your caterer know how many people will be attending. Is it a crowd of 200 people or you are going with an intimate number like 30 people? Ensure you do a second head-count, via RSVPs to ensure that you know the number of people who have confirmed to attend. This makes it easy for your caterer to serve enough food for anyone. The cake is the centerpiece of any wedding reception. Lots of people love cake, so you need to ensure it is perfect and according to what you ordered. Therefore, specify on the contract the size, design, style, and flavor of the cake that you want. Do you want one cake for you and your spouse or you want different cake for each? List down the cost as well—for future referencing. One thing that will make your wedding memorable is how your guests were treated during the reception. As you consider wedding catering in Jacksonville, ensure you are armed with a detailed contract that will keep the caterer in line. There are some events in every body’s life which are special, and the wedding is one of those occasions that holds a special meaning for everyone. People make many plans for their wedding ceremony so that their special event is memorable for everyone. People look out for many things when they are planning the wedding functions. 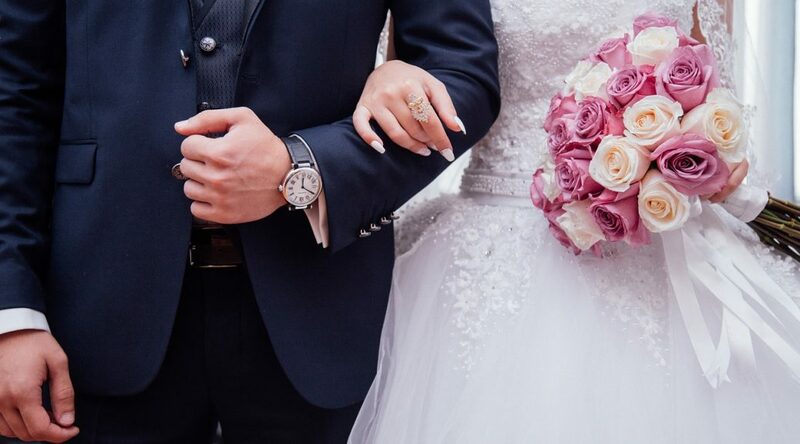 These include searching for the location where you want the event to take place, look out for the number of guests you want to invite, selecting the food options for the ceremony, and selecting clothes and band for the wedding; everything gets special attention. Music is something that is mandatory to add grace to the function. However, the selection for the wedding band requires more attention as a professional band will not only entertain the guests but they will remember your wedding for a long time. It will always be wise to hire professionals having experience of performing at such occasions and one of the best way to find the band is to look for the Sydney Wedding Bands for Hire services. These are professional bands who have the experience to play in weddings and entertain the crowd. You can search for good Sydney wedding bands through wedding planners, florists, photographers and caterers. Further, your acquaintances or colleagues may also find a good source to know about them. Sydney wedding bands are aware that which music will be best suited for the entire theme of the event. They obey the discipline and will arrive much before the timings and surely prevent you from any last minute mismanagement. Moreover, it will be great to choose a band that performs regularly and performs together. Their understanding will enable them to put an excellent show. 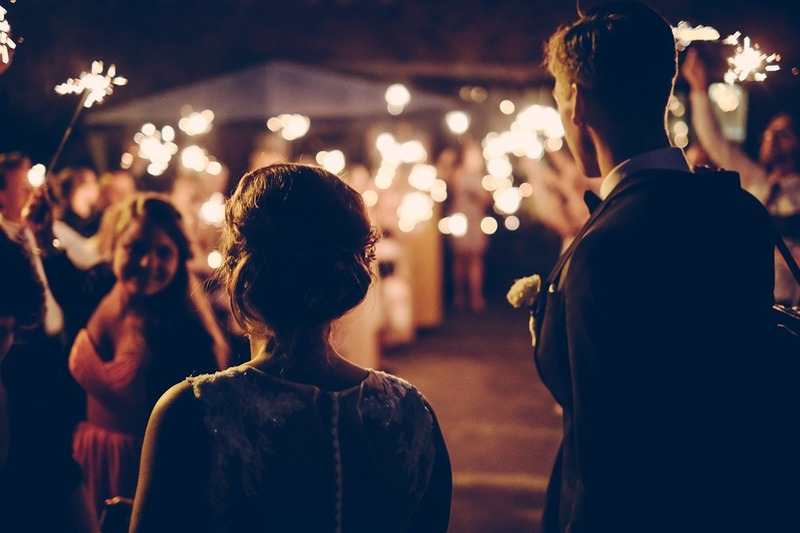 Last but not least, the search of the group for a wedding should begin much before the big occasion, as people book good bands months before especially in the peak wedding season. You can also create your music list and look for Sydney wedding bands for hire who play your music and are also able to play a guest request during the live session. Bands that can perform requests keep the guest entertain and engage with the music and the guest thoroughly enjoy the performance. You will find some good bands, and can also negotiate a good discount as most bands offer exclusive discounts on celebrations such as wedding parties and other festivities. You can also search for some bands online as you can also check the sample of their music and live performances online, so you can make a safe and sound decision in selecting the best band. Weddngs are marvelous occasions that bring friends and family together as witnesses to a union between two loving couples. Everyone wants their wedding day to be glamorous and will go lengths to ensure everything runs smoothly. One of the largest portions of your budget will be food and drink. In addition to entertainment, you’ll want to ensure your guests are well fed. This means that you’ll need to hire Wedding Catering Jacksonville who will take this responsibility from your hands. Before you head out to look for a catering company, make sure you determine how much you are willing to spend on catering. This will help you understand which companies you can afford as well as help the caterer customize their services to suit your needs. With a budget at hand, your caterer will be able to determine which options (buffet, seated or family style) to provide you with. Most venues will have worked with different caterers in the past and might be willing to provide suggestions. You’ll rest easy knowing that a cater has worked at a venue in the past and has maintained high standards to win the approval of your choice venue. Most venues will require proof of licensing, insurance and permits before they allow caterers to serve at their venues. This means that you are likely to get the best services. However, if any of the caterers in the list provided don’t sound right, find out whether the venue has more suggestions for you. Getting proposals from multiple wedding catering Jacksonville services will help you compare cost, menu options and services. Provide the potential caterers with information on the number of expected guests And the style you are going for. The caterer should then suggest the number of appetizers, bartenders, coordinators, courses, chefs and waiters you will require to make your event a success . 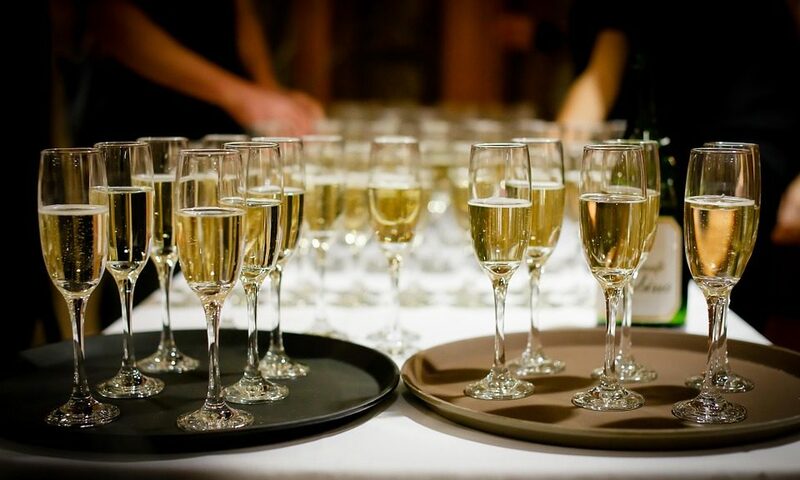 If you’ll be needing alcohol for your event, review the cost offered by the caterers and determine whether it would be better to buy it separately. Most caterers will allow you to buy alcohol elsewhere after which they will provide you with servers. Note that in some states, you might require temporary liquor licenses if you decide to take this route. In addition to providing delicious meals, caterers should also be good in communication. A reliable caterer will be friendly and will respond well to your questions. They should reply to your emails on time and should never keep you waiting when you contact them via phone. After several years of searching, you have found that one special person whom you can spend the rest of your life with and are ready to make it official. Congratulations! The remaining thing is to get a wedding planner. If there is a place that is historically known for hosting memorable weddings, it has to be Sydney. The city boats plenty of beautiful wedding venues—from rooftops, warehouses to gardens and cafes and much more. However, if you want to get the most out of your Sydney wedding, especially if you are new to the city, it is always judicious to consider hiring a wedding planner in Sydney. A wedding planner will dedicate his or her time to ensure that you have a good wedding. It sounds awkward to be told not to shout to the whole world that you are wedding the love of your life. So, a wedding planner will restrain from doing it not to hurt your feelings. Nonetheless, there is a sense in the thought since local stores have the habit of increasing item prices, more so for foodstuff, when they learn about a wedding. How would you feel to hear this from your wedding planner? Of course, disappointed, mad, or impatient! Now you know why a wedding planner will never utter these words. So, it is always important to work closely with your planner to ensure that your big day is smooth. A wedding planner knows that the attention will be on the bride and not the maids. Therefore, the dresses of the maids don’t have to be very expensive but just pretty and elegant. However, your wedding planner might choose not to tell you this, especially if he or she is not sure about your budget. Of course, a wedding planner knows better than you when it comes to planning a successful wedding. Nevertheless, he or she may keep some suggestions to himself or herself so that you can decide what you want for your big day. Though a wedding planner will never disclose some aspects, it’s important to read the signs and do something about them. This will make the planner more comfortable in planning your wedding. In the end, it will be a win for both of you. If you’re planning a wedding in Goulburn, finding the right venue, flowers, photographer, and caterer are just some of the details you’ll need to take care of. While your special day will certainly be something that you’ll want to cherish for years to come, taking steps to capture these moments so that you can relive them over and over again is something a professional videographer will be able to help you with. 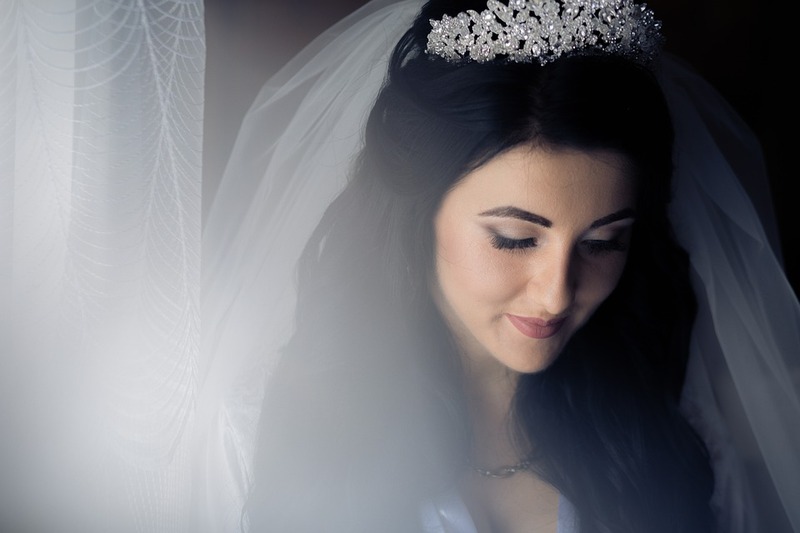 When you’ve made the decision that you want wedding videography Goulburn, finding an experienced professional who knows how to capture your wedding details is definitely important. It takes more than just someone with a camera to create a lovely video; it requires a professional who understands the importance of lighting, angles, and so much more. One of the best ways to find a videographer for your upcoming wedding is to start by asking friends and family if they have any recommendations. If you know someone who has recently been married, they might be able to offer you a referral to the videographer that they used. However, even if you get the name of a videographer that a friend thought was wonderful, you still need to do a bit of your own due diligence. What one person likes might not be exactly what you’re looking for. When you first call, have a list of questions you’d like to ask the videographer. Of course, you’ll need to know if they are available on the date your wedding will take place, but you’ll also want to ask about fees, extra expenses, their experience in wedding videography, as well as any specific requirements you might have. The next step is to actually visit the videographer and take a look at some video that they’ve captured for previous clients. Do you like their use of close-ups and selection of shots? If there are specific things you would like included, such as the first dance, cutting the wedding cake, or the bridal party arriving at the church, make sure to ask about these things and whether they will be included. Additionally, it’s important to understand pricing and what you’ll be getting for your money. Will the videographer edit the video, and will you be able to have any input? Other things to consider include the amount of the deposit, if you’ll be able to order still photographs from the video images, and if you can request duplicate copies of the video. Working with a professional videographer will help ensure that you get quality results without feeling like the videographer was too intrusive on your wedding day. Different bands usually play different kinds of music. For instance, some bands only play jazz music while others only play rock music. If you love the blues or soul music, therefore, you should look for a band that can play your favourite soul music. If you like swing or any other type of music, be sure to look for a band that can play that kind of music. When making your shortlist, therefore, you should only consider bands that can play your favourite music. The number of years a band has been together must be considered. However, what is much more important is the number of events they have performed at. The ideal wedding band must have performed at dozens of weddings in the last couple of years. This is crucial because you do not want anything to go wrong, so you have to hire a band that has been performing at weddings for a long time. The reputation of a band can serve as a recommendation or warning. The best bands usually have a great reputation in the industry. This is because they have managed to meet client needs and expectations time and again. Be sure to read any reviews that have been written about the bands you have shortlisted. This will enable you to make an informed decision. If you find ratings online, be sure to check them and give special consideration to highly-rated wedding bands operating in Sydney. Some bands are usually fully booked throughout the year. Once you find a few great bands, you may discover that most of them are fully booked. Be sure to book a band that will be available to perform at your wedding. Bands do not come cheap. Since you have a limited budget, be sure to compare the rates charged by all the bands on your list to find the most affordable one. If you plan to get married in Waiheke Island, then you are in for a treat. Famous for its wine production and beautiful sceneries, Waiheke Island makes the perfect wedding destination for anyone looking for great sights and deals on wedding venues. Waiheke Island wedding packages come in all shapes and sizes and can be tailored to suit your individual needs. An important factor to consider when choosing a wedding venue in Waiheke Island is the number of people attending your event. This will help you determine how much space you’ll need and the best layout to use. When calculating how much space you will need for your guest, consider factors such as the catering crew and other people that help complete your wedding. The space should be evenly distributed to ensure everyone is comfortable and free to move around. Whether you decide to use an indoor or outdoor wedding venue, you are guaranteed to find exactly what you need in Waiheke Island. However, outdoor and indoor venues are very different in nature and it will be up to you to decide what will suit you best. An outdoor wedding venue is perfect for a nature theme wedding. 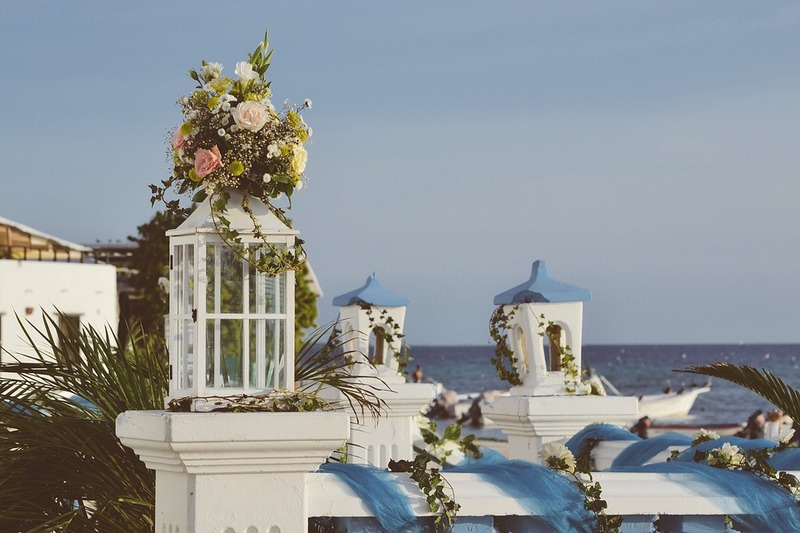 You can choose the beach or even mountain areas for an outdoor wedding depending on preference. Indoor wedding venues are perfect for those looking for a controlled wedding process where there are few to no surprises. Indoor weddings are held in churches and other buildings based on one’s preference. Wedding venues vary in price based on a number of factors. For instance, if you decided to use catering services in addition to renting their space, most venues will likely cost you more. The best way to save money on wedding venues in Waiheke is to search for deals and discounts. Compare prices between different venues and make sure you only pay for services that you need. When you com’s across a wedding venue in Waiheke that appeals to you, try finding out more about their services by either contacting them or reading reviews on the space and services they offer. Finally, it is important that you secure your wedding venue early enough to avoid problems. In fact, finding a venue should be among the first things you do when planning a wedding. Reserving a wedding venue some months before the wedding date is advised. Hiring paparazzi is a quick way to get the guests excited as soon as they arrive at the venue. The photographers show up at the venue and captures memorable photos of your guests. The experts are known to come up with exciting booths for shooting the images. If important personalities didn’t respond to the invitation, you can still create a star-studded event. You just need to find lookalikes who can carry the roles of the celebrities well. Though some guests may notice the impersonators, they will be amused by them. This is a good alternative to a Live DJ if not a supplement. Live bands are known to play different genres of music that suits all types of guests. 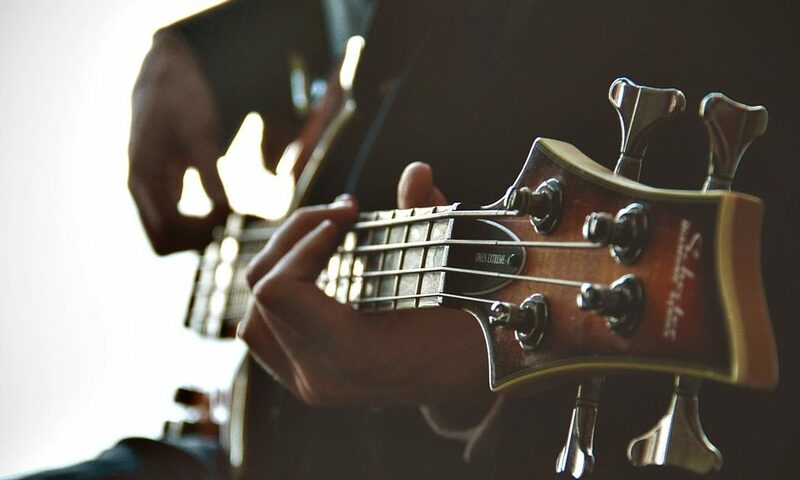 From Jazz to rock, the band will have your guests entertained to the full. You cannot forget the kids when planning to have an exquisite wedding entertainment Melbourne residents will live to remember. The castles will keep them excited and they will cherish every moment. You can have several bouncing castles with each assigned to a specific age group. At the reception, it’s always entertaining to see couples and individuals face off in a dance battle. The contest will feature people of different characters showing their unique dancing moves. It’s a hilarious way to entertain your guests, both the contesters and the spectators. By and large, a great wedding is supposed to be enjoyable. The above five unique ways of entertaining your guests provide you with unmatched amusement. They’ll surely contribute to a successful and unforgettable wedding experience if you adopt them. Melbourne is not short of people calling themselves professional wedding photographers. If you were to search the internet, you’d be amazed how many names and companies would come up. With such a huge list of professionals, you’d expect it to be easy to find the perfect photographer for your wedding. In order to locate the right Melbourne wedding photographer, you’d have to take some time off and research. You want a professional who will be able to capture every exquisite moment in your wedding, helping you create happy memories of your big day. Before investing in a wedding photographer’s services, you want to make sure they are skilled and professional. The only way you can be sure of this is to hire a professional that has been in the industry for an extended period of time. Go for a photographer with at least two years of experience just to be safe. Wedding photographers in Melbourne use different styles to capture moments at different wedding events. Some photographers make a documentary of the event, capturing moments without the need for posing. Other give more direction as to how the photos should be taken while others mix the two styles. Before you invest in any of the services you come across, you need to make sure you love the style the photographer uses by checking their portfolio. Technology advances as each year goes by and photographers are doing their best to catch up with new trends. Before hiring a wedding photographer, find out whether they are using the latest equipment and editing software. This will guarantee quality photos of your wedding that will bring back beautiful memories every time you open your gallery. Photography packages vary as you move from one professional to the next one. Each package is designed to suit the needs of individual clients. You need to choose a package that is just right for your needs. For instance, you might want to avoid working with a photographer that charges by the hour if you are working on a budget. Such photographers may end up missing important parts of your wedding or charge way more than need be. The photographer needs to communicate well, answering your questions patiently and in a friendly manner. If you feel uncomfortable around the person, then you won’t enjoy your experience with them. From the moment you contact them, the professional needs to treat you warmly, answering the most trivial of questions in a professional manner. The trick to landing the perfect wedding photographer is all about taking your time learning more about the services they offer. There are many types of power systems. There is the pneumatic power, mechanical and hydraulic power. Unfortunately, nothing delivers as much power as a hydraulic power system. This system uses compressed fluid to transfer force from one place to another. The system consist of an oil reservoir, hydraulic pump, fluid pipes, hydraulic cylinder, valves and controls. The function of the hydraulic pump is it compress the fluid, which is almost incompressible. The result is immense pressure inside the fluid lines. The pressurized fluid is usually delivered to the hydraulic cylinder where it pushes the piston with great force. The piston usually has an oil seal around it to prevent fluid pressure from escaping to the other side. Over time, however, the hydraulic cylinder and its components will develop problems, and require prompt repairs. When in need of hydraulic cylinder repair service, you will need to look for a reliable engineering firm to offer the required service. This is a major problem as it will lead to power losses. The force you will get at the other end of the piston will not be commensurate to fluid pressure. This is because fluid pressure will find relief around the damaged seal. If the seal is not replaced, the performance of the hydraulic system will reduce considerably. To replace the seal, the cylinder is simply opened up and the old seal removed. The exact make and model of seal is then installed as a replacement. Poor use of the hydraulic system may lead to bending of the piston rod. As a result, it may become difficult to move the piston inside the cylinder. Furthermore, there will be a lot of wear and tear inside the cylinder. In addition to that, there will be power losses as some of the force produced by the system will go towards dislodging the piston from the cylinder walls. In such a case, the piston rod can either be removed and straightened or replaced altogether. When dealing with a single acting hydraulic cylinder, you should know that there is a powerful spring that returns the piston into place after the fluid action. If the spring loses its compression, or tension, depending on cylinder design, you will have to replace it. Otherwise, the piston will not be ready for the next cycle. If for some reason the interior wall of the cylinder is rough and leaks fluid, boring may be done to smooth the inner walls or a larger seal may be installed. Whatever the case, a competent mechanical engineering firm is able to provide an effective remedy for any type of problem.